There comes a time in all of our lives when we need to travel … be it for business, pleasure, or both, for some more frequently than others. As a coach and nutritionist to well over a thousand individuals over the past decade, travel is one of the main concerns my clients have in regards to adherence to their meal plan and training program. Let’s face it, the working out is easy and almost every hotel has a fitness center or gym, but how about staying on top of your meals? Here are some tips I share with my paying clients, as well as utilize myself to ensure that even when away from home doesn’t mean you have to lose momentum towards your health, fitness, and/or physique goals! Flying can pose as one of the bigger challenges in getting your food with you from point A to B; however like all things in life, when there is a will there is a way and sometimes it just takes a little bit of effort! What I recommend doing when flying is ensure you have any meals you need for that day, as well as extra protein on hand in case of unexpected delays. Get a soft cooler that will fit inside of a carryon bag (or use it as a carryon itself), and pre-package and portion your meals into sealable plastic bags (they take up less space). Avoid adding any oils your meals may call for, as liquids can sometime be a problem at airport security. If your meal requires oil, substitute the macros from an equal portion of something such as raw almonds or avocado (for example one tablespoon of cold-pressed extra virgin olive oil is roughly equal to half an ounce dry weight of raw almonds). As TSA does not allow liquids, ice packs are off limits in the instance they thaw. What I recommend doing is bring empty gallon freezer bags and then fill them with ice at an airport restaurant once past security or you can freeze cartons of liquid egg whites into ice packs, which can then later be thawed and consumed once at your destination. Pack non-perishable food items such as Nectar Grab ‘N Go packets (or put scoops in sealable plastic bags ahead of time) for quick protein and rice cakes as carbs. This makes for effortless healthy snacking, that will save you the calories of airplane snacks and cost of airport kiosks/stores. When I travel, if not staying somewhere with a kitchen or kitchenette (this I will cover below) I will research ahead of time a meal prep service that delivers or ships to where I am staying. With enough notice, I will send them my meal plan and order whatever meals I need made to specification of my plan to be delivered at or around the time of my arrival. Typically by the time I reach my hotel, I have just finished whatever food I brought with me on the plane and then my prepped meals will be there ready for me and I don’t miss a beat this way. Granted these services are not the cheapest, however even the most expensive ones I have dealt with were STILL cheaper than if I ate out as most do while traveling. We all know even a “dollar menu” fast food meal quickly can amount to $7-10 or more. May as well take that money and apply it towards quality food that is exactly what you are SUPPOSED to be eating and when! Just make sure your hotel room has a fridge ahead of time, otherwise you will be making frequent trips to the ice machine! Here is my personal favorite travel suggestion for staying on track, and one I have used almost every single time I had to since I first heard of its existence. The app/site AirBNB allows you to rent entire apartments, condos, houses, etc. in the area you are traveling to. It gives the option for places with a “kitchen,” which is like being right at home! From my experience, I have never spent more on an AirBNB property than a local hotel costs, and they are often much nicer with more amenities (such as the kitchen). This will allow you to save on what a prep service would cost by going to a local grocery store and then prepping your own food as if it were any other day in your normal routine. AirBNB and having a full kitchen while traveling has been a huge help in keeping myself on track, even while traveling internationally or for national competitions I, my fiancée, or clients have competed in. Hopefully this helped some of you who may be struggling in how to balance travel with your goals. As you can see, with a small amount of effort and planning ahead you can stay on track entirely while away and not lose any valuable progress. 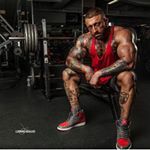 If you have any questions in regards to staying on track while traveling, or topics you would like covered in future blogs feel free to reach me via the contact form on my website (www.ant-abolic.com) or direct message on Instagram (@antabolic).